is an organization that connects educators and other content creators with free legal resources. These tools, when used appropriately, allow content to be shared and reproduced without infringing on copyright law. The main tool that Creative Commons can offer is their copyright licenses. These in effect loosen the restriction on material in various ways, changing the copyright on an item from “All Rights Reserved” to “some rights reserved.” The level of protection on an item varies with the type of license. CC BY This license lets others distribute, remix, tweak, and build upon your work, even commercially, as long as they credit you for the original creation. This is the most accommodating of licenses offered. Recommended for maximum dissemination and use of licensed materials. CC BY-SA This license lets others remix, tweak, and build upon your work even for commercial purposes, as long as they credit you and license their new creations under the identical terms. CC BY-ND This license allows for redistribution, commercial and non- commercial, as long as it is passed along unchanged and whole, with credit to you. CC BY-NC This license lets others remix, tweak, and build upon your work non-commercially, and although their new works must also acknowledge you and be non-commercial, they don’t have to license their derivative works on the same terms. CC BY-NC-SA This license lets others remix, tweak, and build upon your work non-commercially, as long as they credit you and license their new creations under the identical terms. CC BY-NC-ND This license is the most restrictive of our six main licenses, only allowing others to download your works and share them with others as long as they credit you, but they can’t change them in any way or use them commercially. The 1998 Digital Millennium Copyright Act (DMCA) was enacted to address the inherent vulnerabilities found in an online network. It also provides the legal process for copyright holders to make claims of infringement, given that only an Internet Service Provider (ISP) has the means to locate an infringing party (IP address and timestamp). The DMCA is an attempt by Congress to balance the needs of copyright holders, whose digital works can be easily accessed and copied, and the liability of an ISP for its users’ infringing activities. The Act includes five titles, three of which have particular relevance to academic institutions. What are the Guidelines for Fair Use by Instructors? According to the U.S. Copyright Office circular Reproduction of Copyrighted Works (2009), copying by instructors must meet tests for brevity and spontaneity. Brevity refers to how much of the work an instructor can copy (defined below); spontaneity refers to the instructor’s need to copy, which should occur closely in time to the need to use the copies. If brevity and spontaneity standards are not met, it is expected the instructor will obtain permission from the copyright holder as soon as feasible. If the instructor repeatedly uses the copyrighted material without obtaining permission, it is less likely to be considered fair use. Using something over a period of several semesters or years is not fair use. Note that the below parameters are guidelines only; they are not the minimum or maximum standards of educational fair use. Instructors should attempt an equitable balance between the rights of owners and the needs of students when using copyrighted works. make multiple copies for classroom use for face-to-face teaching. transmit over Internet (display as part of a distance learning course or as a class enhancement). for online classes, the amount is comparable to what is typically displayed in the course of a live classroom setting. a complete poem of less than 250 words, or an excerpt of 250 words from a poem greater than 250 words. a complete article, story, or essay that is less than 2,500 words. for works longer than 2500 words, use only excerpts up to 1,000 words or 10 percent of the total work, whichever is less. cannot copy consumables, like workbooks or exams. copies of materials must be legally made or acquired. technological measures must be in place to prevent unauthorized access or copying. the use must be limited to a specific number of students enrolled in a specific class, and access must be terminated at the end of the lesson or course. cannot use materials specifically marketed or produced for mediated instructional activities over digital networks. one chart, graph, diagram, drawing, cartoon, or picture contained in a book or periodical issue. single works may be used in their entirety, but no more than 5 images by a single artist or photographer. from a collection of images (different artists or photographers), up to 15 images or 10 percent, whichever is less. can play (perform) in face-to-face classroom environment with no restrictions, as long as legally made or acquired. for online classes use only reasonable and limited portions of dramatic musical works*. Guidelines - up to 10 percent of the work but no more than 30 seconds of the music or lyrics from an individual musical work. for online classes can use entire nondramatic musical works** (may be transmitted once without permission). copies of materials used must be legally made or acquired. can play (show) in face-to-face classroom setting with no restrictions, as long as legally made or acquired. no restrictions as long as copies of materials used are legally made and acquired. 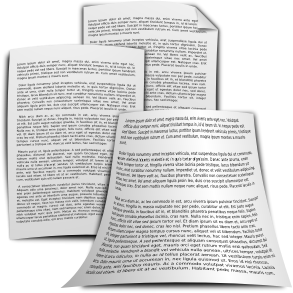 archival copying okay provided a suitable replacement is unavailable at a fair price or in a viable format. for online classes use only reasonable and limited portions of dramatic works***, such as movies, TV programs, plays, etc. Unlike a face-to-face teaching environment, you may not stream entire dramatic films. Guidelines are up to 10 percent of the total or three minutes, whichever is less. for online classes can use a non-dramatic work (i.e. documentary) in its entirety. for online classes, educational materials marketed as “mediated instructional activities transmitted via digital networks” may not be used. the video or film must be screened as part of an instructional program and not for entertainment or recreational purposes. * Dramatic Musical Work - includes musical works incorporated into opera, musicals or music videos. ** Non-Dramatic Musical Works - refers to musical works, such as popular songs, that are not incorporated and performed in an opera, musical, or music video. *** Dramatic Work - work in which the story is portrayed by actors; includes plays, movies, operas, television dramas and comedies. When should I get permission to use a copyrighted work? ⇒ Unfortunately, it is not always possible to answer these questions with a definitive “yes” or “no.” Sometimes, you may have to analyze the risk involved in operating without permission. ⇒ If a creative work is protected under copyright law, an unauthorized use may still be legal. This is because there are exceptions to each of the laws protecting creative work — situations in which authorization is not required. For example, under copyright law, a principle known as “fair use” permits you to copy small portions of a work for certain purposes such as scholarship or commentary. See tab labeled Fair Use for additional information. Fair use means that if I’m using it for educational purposes, I can do whatever I want with a copyrighted work, right? ⇒ Just because your use is for non-profit educational purposes does not automatically give you permission to copy and distribute other people's work. While many educational uses may be fair, you will probably need to evaluate your use each time you are reproducing copyrighted material — to show in your class, to hand out copies, to include in your writing. See tab labeled Fair Use for additonal information. To what extent am I personally liable as a faculty member, student, or employee of Mohave Community College for violating copyright law? ⇒ Both the College and the individual may be liable in a civil suit for willful infringement of U.S. Copyright Law. Section 504 (c) (2) of the law states that willful infringement may result in damages of up to $150,000. ⇒ The infringer must prove in court that he or she reasonably thought the use in question fell under fair use; however, this would not necessarily prevent the copyright holder from filing a lawsuit or subsequent attorney and court fees. Can I scan course readings and put them up on my personal website for students to read? ⇒ No, not without permission of the copyright owner. Materials posted on the web could be accessed by people all over the world. In effect you would be distributing the information freely and broadly, thus affecting the market for that work (fair use factor #4). If a work is copyrighted and I want to use it in my class, what do I have to do? ⇒ You can put it on reserve in the library without getting permission from the copyright owner. If you want to distribute multiple copies directly to students, you need to get permission. Note: If a work you want to use is out of print, it may still be under copyright protection. You should proceed with the assumption that an out of print work still enjoys protection. What if I use ANGEL, a system that uses passwords to limit access to students in a particular class? Would that be fair use of copyrighted materials? ⇒ It’s not clear whether this is fair use or not. Yes limiting access to students in a particular class does make a better case for fair use. However, even in limiting access, you still have to consider the four fair use factors and the guidelines for brevity and spontaneity. For example, you could post an article in ANGEL for one semester only and not re-use it unless you get permission from the copyright owner. What about copying a worksheet or a test for students? ⇒ If you create the test or worksheet and retain the copyright, yes, you can copy it. However, published tests and worksheets may also be under copyright, and you will need to get permission of the copyright owner to copy and distribute them. Can I show films in the classroom? ⇒ Yes. According to the Section 110 (1) of the U.S. Copyright Act, performance of or showing films in the classroom as part of “face-to-face” teaching at non-profit educational institutions (such as MCC) is covered under the fair use exception. 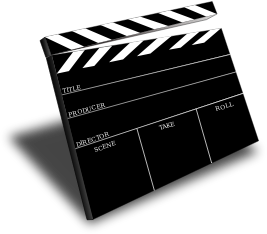 Viewing must be limited to only those enrolled in the course, and the film screened must be directly related to the instructional program. ⇒ Showing films in equivalent fashion as part of distance education or hybrid courses also qualifies as fair use under the TEACH Act, but there are restrictions. Only reasonable and limited portions of dramatic works, such as movies, TV programs, plays, etc. can be used; guidelines are up to 10 percent of the total or three minutes, whichever is less. In contrast, entire non-dramatic works can be shown. Can I display copyrighted pictures and other visual material in an online setting? Only displaying material that is directly related to course content and under your supervision as an instructor during class session/module. Do I have to get permission to link to another site from my web page? ⇒ In general, no, you do not need permission to create a link to another web site. However, even though it is not required, it is considered polite to ask permission to create a link to someone else's information on the web, especially if you think linking will drive a lot of traffic to that site. 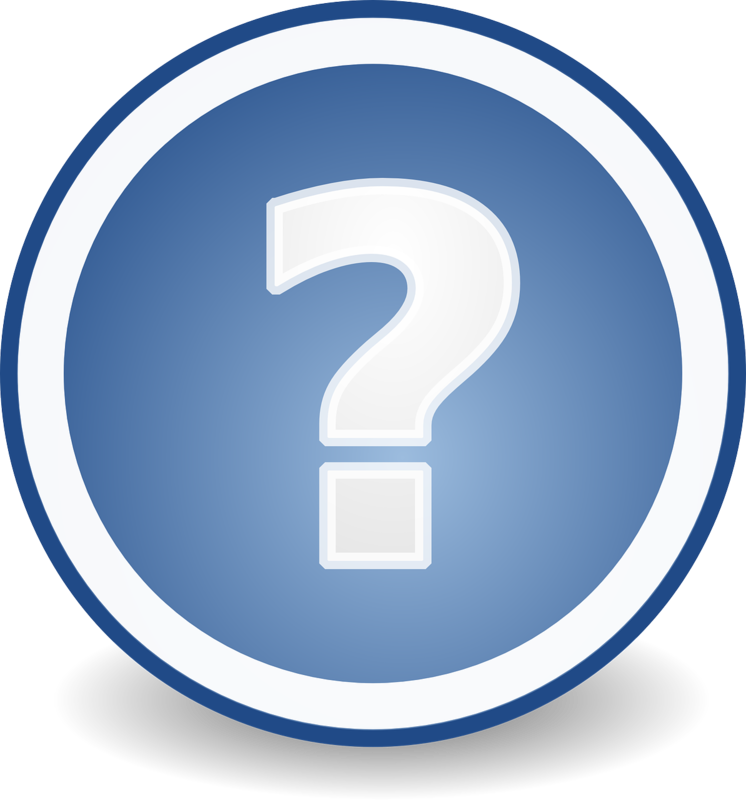 What kinds of information am I allowed to post on my website? 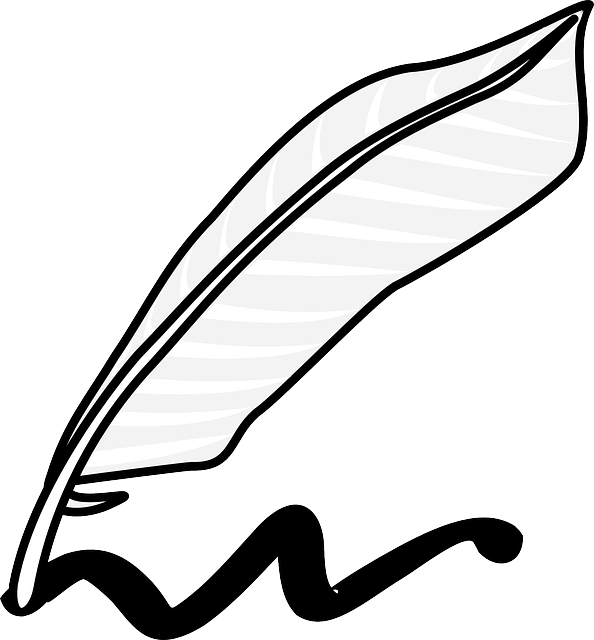 ⇒ Any information that has been created by you as an author is acceptable to put on a webpage or a website. This includes syllabi, class notes, biographical information, curriculum vitae, etc. Articles or papers that you have written may be posted without permission only if you are the copyright holder for the work. If it has been published elsewhere, you may no longer own the copyright to the work and may have to seek permission to post it to your site. ⇒ If you copy a work or a significant portion of another work (including images) for which you do not own copyright and post it to a website without permission, you may be in violation of copyright law. Putting something up on a website is not the same as publishing something, is it? So do I have to worry about copyright? ⇒ Yes, you do. Posting something to the web, even if you don’t call it publishing, still means it’s protected by copyright law. According to United States Copyright Law, "Copyright protects original works of authorship that are fixed in a tangible form of expression. The fixation need not be directly perceptible so long as it may be communicated with the aid of a machine or device." ⇒ So once an image, article, book, or other work is created, it is protected under copyright whether or not it was published in a traditional manner or in physical form. Thus, if you post your own work or that of others to a website, you still have to keep copyright in mind. Can I print, download, or e-mail information from a website or library database without violating copyright? ⇒ Yes, in general, it’s OK to print, download, or e-mail a single copy of a work from a database or website for personal, non-profit, research use. ⇒ Remember, though, that information on websites or found in databases is almost always protected under copyright law. Take care not to infringe the copyright by e-mailing, printing, downloading, or otherwise sharing multiple copies of the work. It is a violation of copyright and licensing agreements to copy an entire database or even significant portions of a database even for personal use. What else do I need to know about printing, downloading, or e-mailing information or articles from databases? ⇒ Mohave Community College provides access to many databases, which contain articles, books, audio and video resources, and other information for scholarly research. You can print, download, and e-mail this information because the College has paid for a license for you to do so. In agreeing to this license, the College ensures that database users are students, staff, faculty or public patrons only. The College also agrees that the information available is used in accordance with any restrictions listed in the license (for example, printing, downloading, or e-mailing one copy of an article for personal use). ⇒ Thus, because of this license agreement, you can use the information you find in the database for personal, non-profit, research purposes. The public domain is a collection of works that are not subject to copyright law. When a work is in the public domain, you can freely copy, distribute, display and perform the work, as well as make derivative and commercial works. When selecting material for use in your courses or research, sometimes you may come across a resource that you would like to use, but do not know if it is permissible to do so. In this case, you will want to obtain permission from the content creator or related party. In this section, we discuss how you can request permission, and to determine if requesting permission is needed. The first step in the process is determining whether you do need permission. This can be difficult in the current electronic environment, but there are some definitive markers to look for. This situation must be approached with caution! The fact of your use being educational does not in and of itself mean that copyright does not apply. Please see the tab Fair Use Guidelines of our site for more specific information on the factors that will determine if your proposed use would fall under this provision. If none of the above applies you will need to obtain permission for the work. Contact the owner through the website in which you found the work. 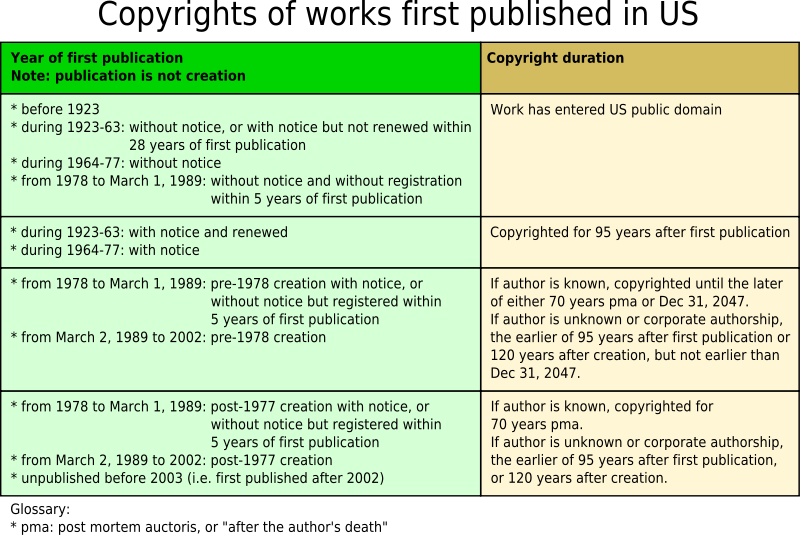 For works published after 1978, you may look up the owner information online at The US Copyright Office. For works published before 1978, you would have to request the Office to manually search for you. Check websites devoted to finding copyright owners of different mediums. Note: Different formats may require different rights. For example, using a song might require permission from the performing artist, publishing house, record company, etc. If you are unsure of which rights may be needed, please contact the relevant authority or your librarian. * It is very important to perserve a record of any approval you receive, whether it be a letter, email, etc., in case any questions arise about the approval you obtain. A series of related images together with accompanying sounds, intended to be shown by the use of machines or devices such as projectors, viewers, or electronic equipment. The act of bypassing a technological device or system (passwords, encryption, watermarking) to gain access to or copy a work. For the purposes of this glossary, Commercial Use refers to any activity that is meant to generate income. If an item is marked for non-commercial use, this means that you cannot use it if you intend your work to bring in revenue. A work made up of pre-existing materials selected and arranged in a creative and original way, so that the resulting work qualifies for copyright protection. Material objects from which a work can be read or visually perceived. A set of exclusive rights awarded to a copyright holder for an original and creative work of authorship, fixed in a tangible form of expression. With respect to any one of the exclusive rights comprised in a copyright, refers to the owner of that particular right. Rights granted by copyright may be sold or licensed individually, on an exclusive or nonexclusive basis permanently, or for a limited period of time. A work is "created" when it is fixed in a tangible form for the first time. A copyrightable work based on a pre-existing work, such as a translation, or dramatization of a work. A work that is marketed primarily for online classes. Any work in which the story is portrayed by actors; includes plays, movies, operas, television dramas and comedies. Includes musical works incorporated into opera, musicals or music videos. The rights of the copyright holder to reproduce, distribute, publicly perform, and display a work and to create derivative works based on the original. A concept copyright law that allows a user to exercise an exclusive right in certain circumstances without the prior authorization of the copyright holder. “Circumstances” include criticism, comment, news reporting, teaching, scholarship, research or parody. The perceptible, physical form of a creative expression, such as words in a book or music on a compact disc. Also one of the requirements for copyright protection. The act of violating one or more of a copyright holder’s exclusive rights. Teaching activities that can be exempt from copyright under the TEACH Act, if they are integral to the course, under the direction of the course instructor, and analogous to the kinds of performances or displays one would expect in a physical classroom. Works which include any accompanying words and are fixed in some tangible medium of expression. Musical works include both original compositions and original arrangements. Literary works without a dramatic presentation, such as poetry, novels, and factual works. Refers to musical works, such as popular songs that are not incorporated and performed in an opera, musical, or music video. Tangible objects from which sounds are fixed and can be heard, communicated, or distributed either directly or through the use of a machine. A display of a work before a group larger than a family or a small group of friends or at a place open to the public. Works free to use and unprotected by copyright. An amendment to copyright law that allows for the public performance and display of copyrighted work in digital forms, and to be transferred through digital networks for teaching purposes at accredited non-profit, educational institutions. Digital technologies or software used to control access to or copying of copyrighted works, such as password protection and watermarking. An assignment, exclusive license or any other conveyance, of a copyright or of any of the exclusive rights included in a copyright. To transmit a performance or display is to communicate it by any device or process, whereby images or sounds are received beyond the place from which they are sent. A copyrightable work created by an employee or a contractor hired to do so. The TEACH Act (2002) allows copyrighted works to be digitally transmitted to distance education students without permission of the copyright holder. TEACH requires academic institutions must first meet specific requirements for copyright compliance and education. Note, institutions are not required to use and apply the TEACH Act to a distance education program - it is only applicable if you choose to use it. 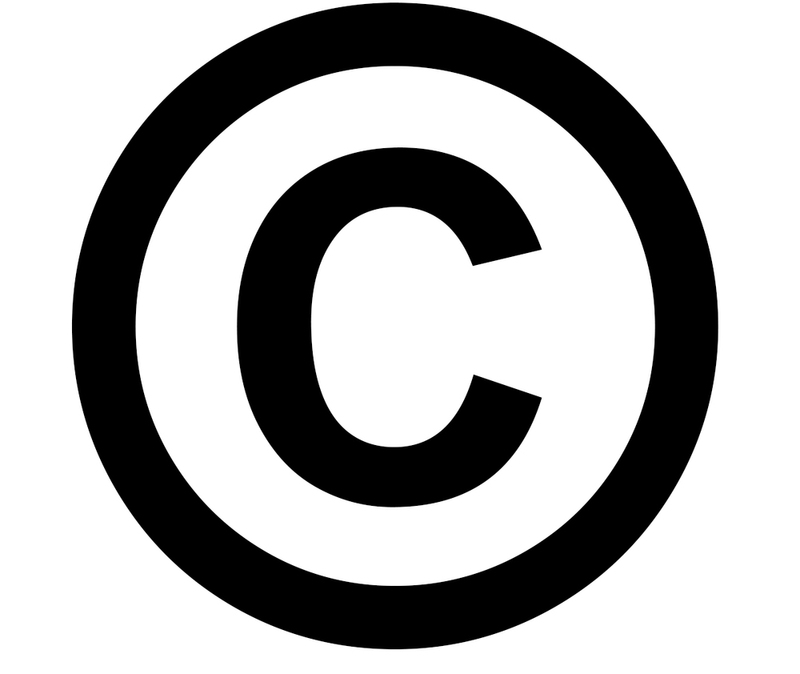 Other lawful uses of copyrighted works are still available, including fair use or getting permission. Teaching must occur at an accredited, non-profit educational institution. All materials used must be lawfully made and acquired. Work is not a digital educational work. Performances of non-dramatic literary and musical works (without narrative) can be shown in their entirety. Performances of dramatic works (with narrative) cannot be shown in their entirety - limited to “reasonable and limited portions” necessary to meet the teaching goal. Limited to a specific number of students enrolled in a specific course (e.g. passwords, encryption). “Downstream controls” that reasonably prevent students from retaining the works beyond the class session and further distribution. No interference with technological measures taken by copyright owners that prevent retention and authorized distribution. Establish and distribute copyright use policies. Provide notice to students that course materials may be protected by copyright. The materials must contain a notice stating that they may be subject to copyright protection. If there is no digital version available, then an analog version can be converted to digital but only in the amount that is needed. It is an instructor's responsibility to ensure their use of copyrighted materials complies with copyright law. If the following checklists show that the TEACH Act does not apply to your use of media, it is possible the Fair Use exception of copyright law may still apply. The materials on this course Web site are only for the use of students enrolled in this course for purposes associated with this course and may not be retained or further disseminated. If you're looking for Creative Commons (CC) materials, the first resource to consult should be the Creative Commons at http://search.creativecommons.org/. Because the search engine is not perfect, it will sometimes retrieve items that may not be covered by a CC license, so please always verify the item's copyright license. Creativity103.com at http://creativity103.com/.This site provides access to some very interesting CC-licensed background images. Flickr at https://www.flickr.com/creativecommons/ provides a separate Creative Commons licensed videos collection which makes the filtering process very easy. Just type your keyword in the search window at http://www.flickr.com/creativecommons/. Click on your image selection and check the license setting on the lower right side. If it says Some Rights Reserved, it means it is Creative Commons licensed and is safe to use. All CC licensed images in Flickr are released under CC BY, Attribution 2.0 Generic. Getty Images at http://www.gettyimages.com/ While Getty Images does not provide CC-licensed materials, it now offers the ability to use 35 million of its images for non-commercial purposes. Simply go to their site by clicking on the link above, search for an image using key words, and you can limit your search to royalty-free options from the menu on top of the screen. openclipart at https://openclipart.org/browse provides access to tens of thousands of images that are free to use under a Creative Commons Public Domain license. 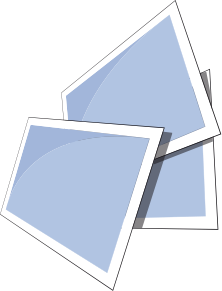 Wikimedia Commons at http://commons.wikimedia.org/ is a hub for digital storage of public domain content including historic images, illustrations and documents, and other Creative Commons content like logos, icons, photographs and other contemporary images. ccMixter at http://ccmixter.org/. Music on this site is licensed under a Creative Commons license. You are free to download and sample from music on this site and share the results with anyone, anywhere, anytime. Some songs might have certain restrictions, depending on their specific licenses. Each submission is marked clearly with the license that applies to it. Community Audio at https://archive.org/details/opensource_audio This is one of several music/audio projects hosted by the Internet Archive. Material can be downloaded under different Creative Commons licenses. Please be sure to double check what the license allows. Free Music Archive (FMA) at http://freemusicarchive.org/ allows legal downloads of Creative Commons-licensed music. The lists of music are curated by independent labels, terrestrial, and Internet radio stations. Free Sound Project at http://www.freesound.org/ Need some sound effects? Please be sure to carefully read the CC license accompanying each sound effect file to see what uses are permitted. Internet Archive Live Music Archive at https://archive.org/details/etree. A fairly long list of artists and bands are making live recordings of their music available for download on this site. The tracks are covered by a "trade friendly" which essentially means that they may only be used for non-commercial purposes. Jamendo at https://www.jamendo.com/en/welcome?from=search. This site contains both "royalty-free" as well as Creative Commons licensed music. Contains over 400,000 tracks and is international in scope. Khan Academy at https://www.khanacademy.org/ provides top-quality educational videos that are organized by discipline and skill levels. The subject matter includes math, science, economics, finance, and humanities. Most Khan Academy videos are licensed under CC BY NC SA 3.0 which lets you remix, tweak, and build upon the work non-commercially, as long as you credit the authors and license your new creations under identical terms. Once you find a video click the option Info to view the license. Moving Image Archive at https://archive.org/details/movies. This site allows you to either stream or download film materials from a variety of sources. Movies are either covered under Creative Commons licenses or are in the public domain. Please double check to be sure. Prelinger Archives: Free Movies at https://archive.org/details/prelinger contains downloadable films covered under a Creative Commons 0 license (Public Domain). You can find commercials, educational films, industrial films, some stock footage, and amateur films. Vimeo at https://vimeo.com/search hosts videos released under all six types of Creative Commons’ licenses. To check the license setting of a Vimeo video, select the Advanced Filters option. Once selected you will see a list of license filters. Just click on the drop-down menu under Any License and select one of the CC licenses. YouTube at https://www.youtube.com provides millions of Creative-Commons-licensed videos. The key is filtering them to isolate the Creative Commons-licensed ones. The filter sometimes renders incorrect results, so remember to double check the video’s license setting. This list includes sources for non-fiction, fiction, poetry, and drama. Europeana at http://www.europeana.eu/portal/. Contains links to a wide range of digitized materials held in European libraries and museums-- some of which are in the public domain. Be sure to check the rights information on the files you view or use. Google Books at http://books.google.com. Not all material listed here is in the public domain, but you can search for books and magazines published prior to 1923 by using the Google Books Advanced Search. Internet Archive: at http://www.archive.org/details/texts. Some of the texts on this site also contain Creative Commons licensed works. The site contains quite a bit of content. Project Gutenberg at http://www.gutenberg.org/. 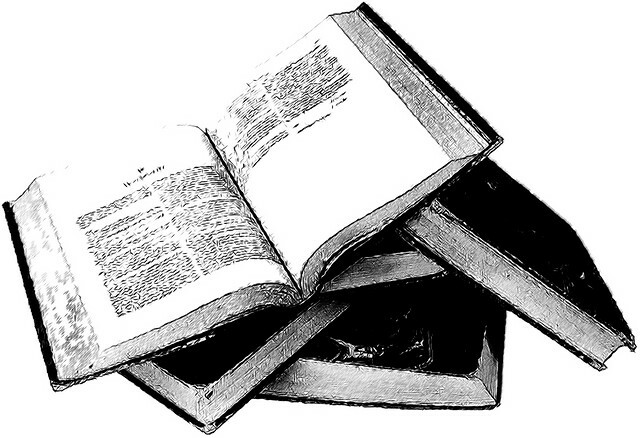 Project Gutenberg offers over 42,000 free e-books that are in the public domain. These e-books are designed to work on computers, e-readers, and other mobile devices. The collection includes almost any classic work of literature published before 1923, such as Alice’s Adventures in Wonderland, Pride and Prejudice, etc. Choral Public Domain Library at http://www1.cpdl.org/wiki/index.php/Main_Page. This site provides access to public domain choral sheet music as well as some contemporary works where the composer wished to share scores for download. Please be sure to verify the copyright status of works you wish to use. 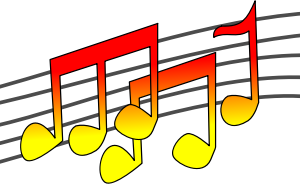 International Music Score Library Project at http://imslp.org/. IMSLP takes public domain music for individual musicians and ensembles, digitizes them, and makes them available online. This well-kept secret by classical musicians will be useful whether or not you are a musician, because many musicians make their recordings available online without those pesky performance rights. If you need to download and/or stream classical music like Pomp and Circumstance and the Brandenburg Concertos without worrying about licenses, this is the right place. Librivox at https://librivox.org/ is run by many of the same volunteers at Project Gutenberg. Public domain audiobooks are read by volunteers. The reading and recording quality is professional caliber, and the volunteers grant the rights for the audiobooks to be shared and publicly performed. Musopen: Free Public Domain Classical Music at http://musopen.org/. This resource complements searching in IMSLP. You can access public domain scores here. There are also recordings available from this site, but they could still be under copyright or are under a Creative Commons license. You need to create a free account to access the recordings. Flickr: Public Domain at http://www.flickr.com/groups/publicdomain/. This is a newer group pool for Flickr where contributors are dedicating their images to the public domain. If you have images that you'd like to dedicate to the public domain, you can also join the group. As always, be sure to verify the copyright status before using any of these images. Pixabay at http://pixabay.com/ - Finding free images of high quality is a tedious task - due to copyright issues, attribution requirements, or simply the lack of quality. This was the inspiration behind Pixabay - a repository for stunning public domain pictures. Your source for free vectors, free drawings and free photos. You can use any Pixabay image without attribution in digital and printed form, even for commercial applications. American Memory Collection (Motion Picture and Television Reading Room, Library of Congress) at http://www.loc.gov/rr/mopic/ndlmps.html. Films included in this collection are mostly in the public domain, however, please verify the status before using a film. Moving Image Archive (Archive.org) at http://archive.org/details/movies. This site allows you to either stream or download film materials from a variety of sources. Movies you'll find on this site are either covered under Creative Commons licenses or are in the public domain. Please double check to be sure.